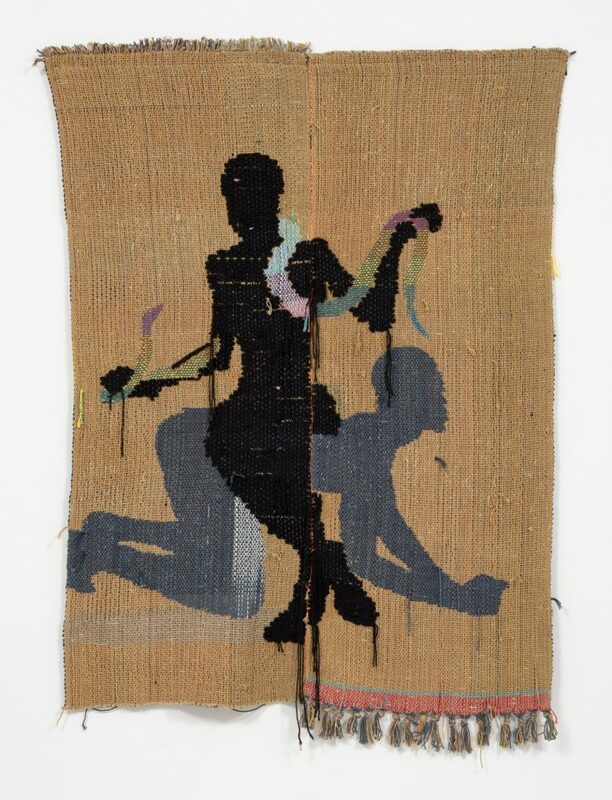 The language of weaving and textile serves as the point of departure for Diedrick Brackens, a Los Angeles-based artist, who threads together thoughtful narratives of lived life in the intersections of identity, race and sexuality. In the days between 4 – 7 October, Diedrick Brackens will present a solo booth at Sunday Art Fair in collaboration with the LA-based gallery Steve Turner. 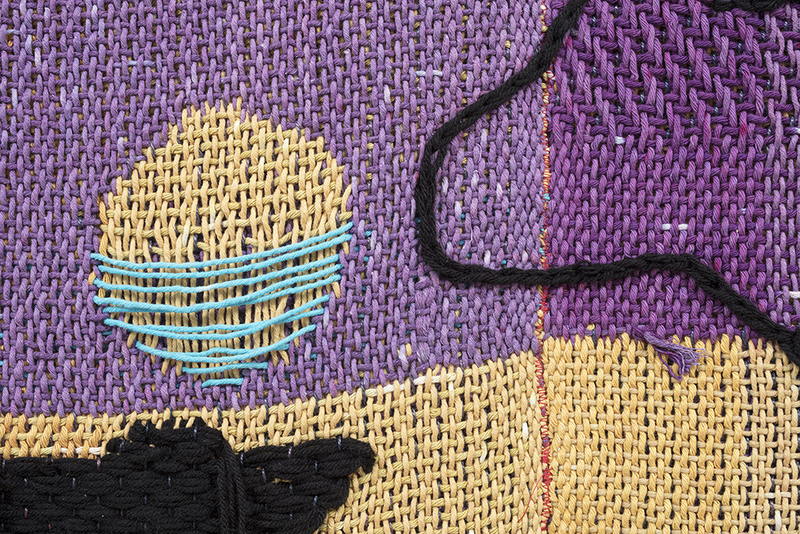 In this interview, he sheds light on the importance of weaving as a vessel to talk about complex, societal issues and the wish to spark conversation about craft and hand making in a world that seems to get more digital by the minute. You grew up in a small town in Texas. How has your upbringing and background shaped your ideas and artistic motivations? I was born in a small town in Texas but I really grew up on Army bases around the country, my father was in the Army. My family is from Texas and I went to high school and college in Texas. I think growing up in a household that wasn’t defined by the home we lived at any given moment but was defined by our relationship to Texas, the South, and family in Mexia, Texas. So in some ways I have always been interested in the ideas of searching, navigation, mapping, etc. by virtue of growing up with distance from family, spending countless hours on road trips to and fro. Can you tell us about the significance of your choice to use weaving as a medium to convey your ideas? I discovered weaving before I found content. I fell in love with the medium and the attendant processes in college. As I learned more about the craft and its historical significance, I realized it was a way to talk about the issues I cared about, relative to movements of enslaved people, the shaping of American culture through African and European aesthetics, and the production of cotton in the country among other things. Your work embraces both abstraction and figuration. Do these different modes of expression stem from different motivations? Put another way, is there a narrative embedded within your abstract works that is different from that of your figurative works? I think both bodies of work are lead by the same impulses. For me, abstraction is the default language of textile making and cloth has always been imbedded with meaning across time and culture. 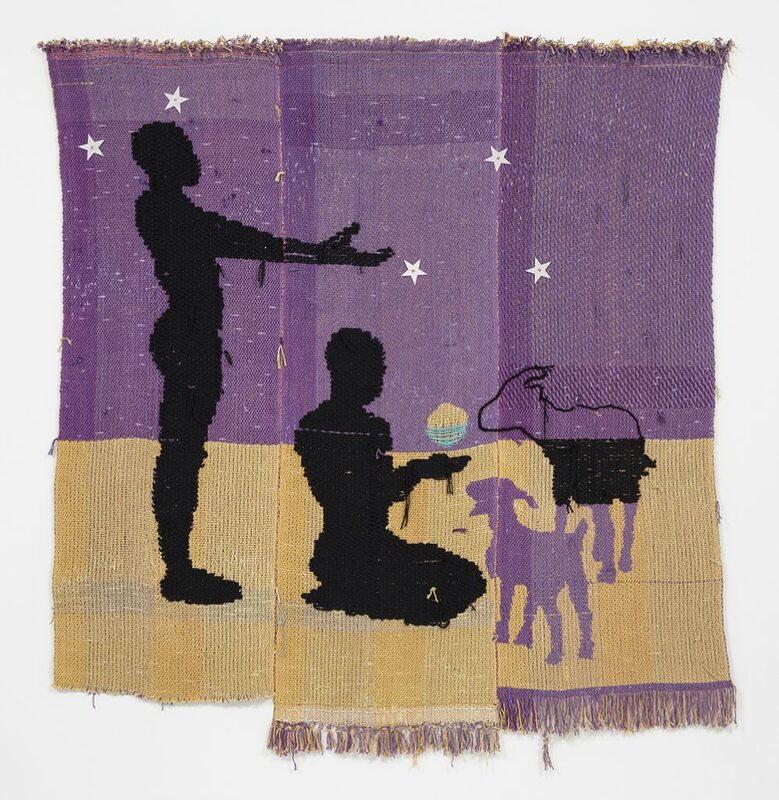 I find it important to work through both modes, particularly abstraction, as it gives nods to weavers and traditions to which I’m indebted like kente cloth, a west African weaving style, and Flemish and English tapestry making, quilts from the American south, etc. 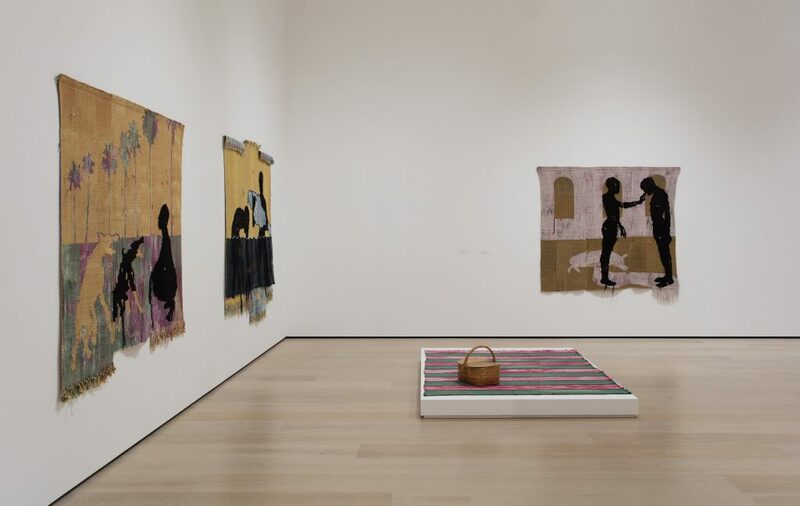 This year, you were chosen as one of the 33 featured artists for the Hammer Museum’s fourth iteration of its “Made in L.A.”biennal, which ended on September 2nd. The exhibition was widely covered in the press, bringing tremendous attention to your work. What kind of conversation did you wish to inspire through your works at the Hammer? I would hope I am bringing a conversation about craft and hand making back into people’s lives. I would also hope that these seemingly fantastical images of persons and beasts are being entry points into more complex and real conversations about race and violence. You are quoted in an interview in the Dallas Observer, “I’m really interested in the idea of navigation and directions and the search and using it to talk about our contemporary moment and how folks navigate this dangerous world”. Do you feel a responsibility to confront difficult and often overlooked societal issues? I would say I am just reflecting my experience of the world. That feels important. I embody a lot of identities that happen to be under threat in society and sometimes this means making work about things that happen to deal with death, pain, and danger, but I am simply telling stories that resonate with my experience like so many other artists, there is also joy and beauty— weaving is not created with a singular thread. In collaboration with the Los Angeles-based gallery Steve Turner, you will present a solo booth at Sunday Art Fair in London between 4—7 October, 2018. Can you talk a bit about the works that will be on display? The works being presented at Sunday strike a mystical tone. I have been curious about the archetypal nature of animals. Also, I have thought about the kindness one might be inclined to show a stray over a stranger and how animals can be a vehicle for talking about sacrifice, violence, beauty, and spirituality. The animals in the booth have all been chosen for their association with trickster characters and the devil in religion and pop culture like the god Pan, Bugs bunny/Brer rabbit, and the biblical serpent. I am interested in these creatures as way to talk about self-transformation, and create new stories based in familiar symbols. Sunday is an annual contemporary art fair held in London which focuses on new and emerging artists and galleries from around the world. This year Sunday will showcase 30 international galleries exhibiting solo projects or curated group presentations.